As part of his ongoing spat with America’s trading partners, President Trump has proposed levying a 20% “border tax” on corporations that import their goods from Mexico. The pronouncement has been enough to mobilize the leaders of some very prominent retailers, many of whom have traveled to Washington D.C. in recent days to argue against the hastily conceived proposal. "A large number of CEOs” have galvanized to express concerns about a potential import tariff driving up prices for everyday consumers, David French, senior vice president for government relations at the National Retail Federation, told CNBC. Additionally, the Retail Industry Leaders Association (RILA), launched an effort on Wednesday to contest Trump’s measure. Called Americans for Affordable Products, the RILA group consists of retailers including J.C. Penny, Walmart, Nike, Target, Home Depot, and more. Many companies rely on goods manufactured in Mexico to provide cheaper products for American consumers.Trump floated the idea of an import tax as a way subsidize the construction of his Mexican border wall, originally stating that “Mexico will pay" for it, but that idea has been scrapped, citing the defiance of Mexican leaders. The crux of the massive construction project will fall squarely on the shoulders of American taxpayers, retail industry experts fear. "Any border tax will of course lead to higher prices for the consumer. That's just the reality that we'll have to face if it comes to that," Coach CEO Victor Luis told CNBC on Tuesday. 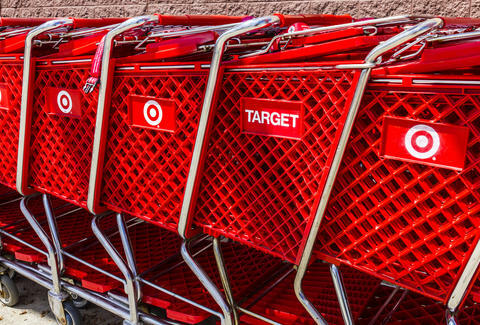 Companies that generate 100% of their revenue streams domestically, like Target, for example, will suffer under a proposed border tax. According to Politico, the mega-retailer’s CEO Brian Cornell joined industry executives in a discussion with D.C. lawmakers last month. In a statement to CNBC, a Target spokeswoman said the company is "closely monitoring the ongoing discussions on tax reform and the impact of the House's proposed border adjustability tax on our guests." As Racked points out, Trump’s border tax would cause a massive upheaval not only in retail, but in American manufacturing as well. Forty percent of men’s jeans sold by American companies are made from fabric imported from Mexico. Although not a global force, the American textile industry employs 64,000 workers who could be adversely affected by a spike in garment prices. While still just a fledgling idea, the Mexican border tax presents a serious dilemma. Given the souring of diplomatic relations between the US and Mexico -- not to mention longtime allies like Australia -- it won’t be a shock if you’re paying a premium on regular household wares and clothes soon. Hell, even guacamole is on the chopping block.